Machines are built to move, and anywhere there is movement, there is also the possibility of friction. While all equipment is designed to avoid unnecessary friction, the uneven stresses of use and time can cause the equipment to create friction where it can cause damage if not caught early. Friction cause heat, and our infrared technology detects heat. We can quickly trouble spots throughout your whole shop and do so at a cost that is very favorable to having to replace equipment prematurely. As with electrical inspections, roof inspections, and building envelope inspections, a visual inspection often yields little to no information about your equipment, until the machine stops working entirely, that is. Also as with roof and building envelope inspections, an infrared inspection is one of the least intrusive ways to gather information about your equipment. Finding spots that may be wearing out prematurely without infrared often involves taking equipment apart, which involves massive amounts of downtime, not to mention the cost of the technicians. 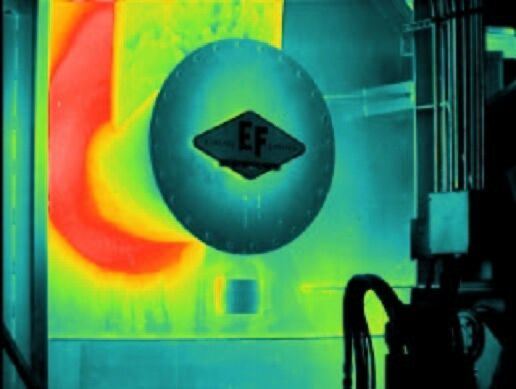 Infrared thermography can be a great investment for optimizing your maintenance expenses and decreasing downtime.